While most famous for their tourbillon designs, and also making beautifully conceived and executed simple watches, Breguet, to my eyes and like no other brand, excels at designing and manufacturing mid-range complicated timepieces. Some classic designs, like references 3137 and 3337, are based on historic pocket watches made by A.L. 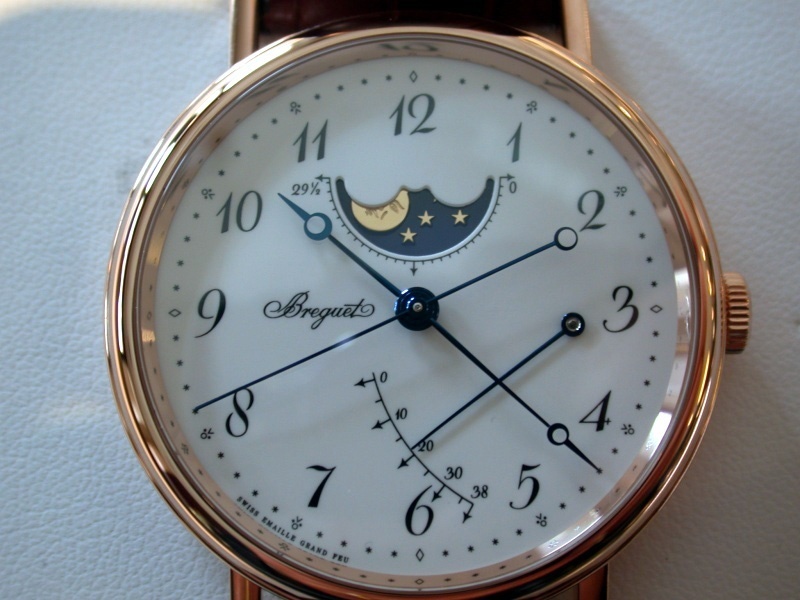 Breguet, and have recently been updated with larger case sizes and dial designs for the 7137 and 7337, respectively. Others, like the reference 5207 with retrograding seconds and power reserve displays, and the new Hora Mundi world time watch, channel the spirit of A.L. 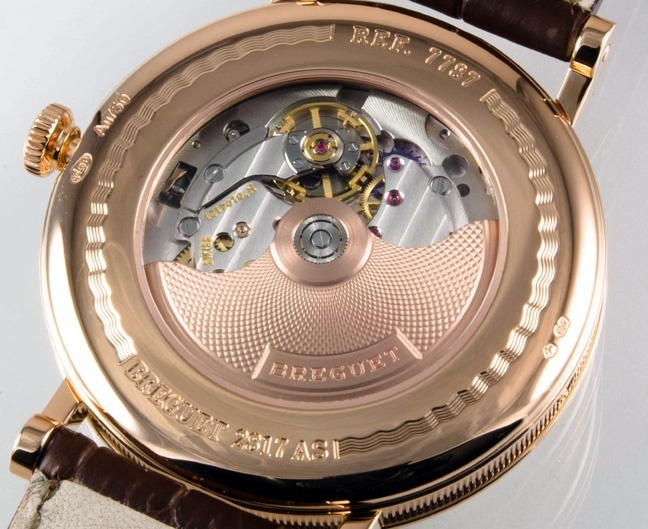 Breguet while showcasing contemporary complications. 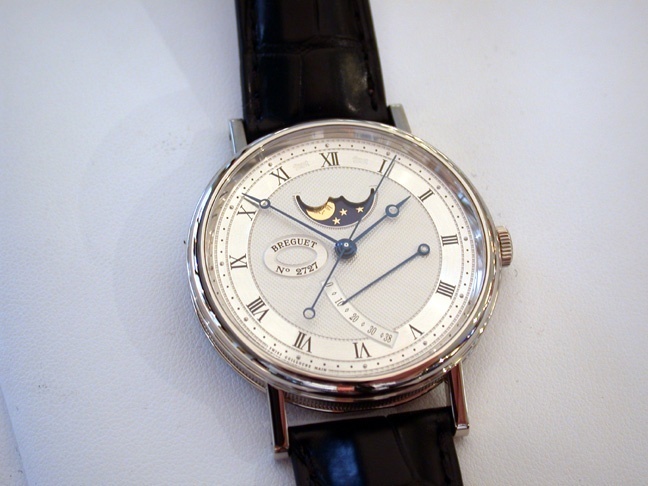 My focus here is on the newly released Classique reference 7787, a mid-complication watch featuring power reserve and moon phase, and which comes with two dial options that are also Breguet specialties, enamel and guilloche. 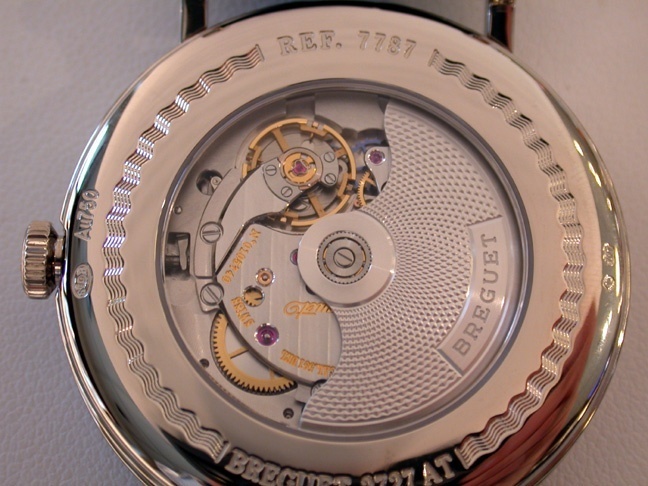 A lot of watch designers must envy the defining limitations that go into making a Breguet Classique case. It must have: a coin edge finish on the sides; soldered straight lugs (and the screws that hold the strap are actually functional), and a polished bezel of minimal thickness. For the 7787, the dimensions are 39mm in diameter and 10.2 mm in thickness, an excellent size for a contemporary dress watch. 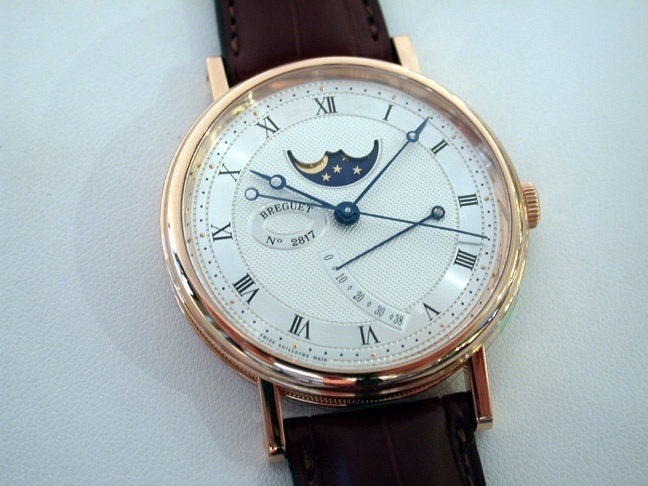 The enamel dial, made by the traditional grande feu technique, has a cutout for the moon phase at 12 o’clock, and the moon has the classical face which lends character to the watch Like all enamel Breguet dials, it features Breguet numbers for the hours and a script Breguet signature. There is even the secret signature. The power reserve hand is at 3 o’clock, and the arc indicating remaining power brings a captivating asymmetry to the dial. The Breguet style hands are blued steel, and the tail on the center seconds hand distinguished by having a very long tail. The Breguet calibre 591 DRL powers the watch. This double barrel self-winding movement has the Lemania 8810 as its ancestor, but it is notable for the use of silicium for the escape wheel, Swiss lever, and free-sprung balance spring. I love the mix of old and new. 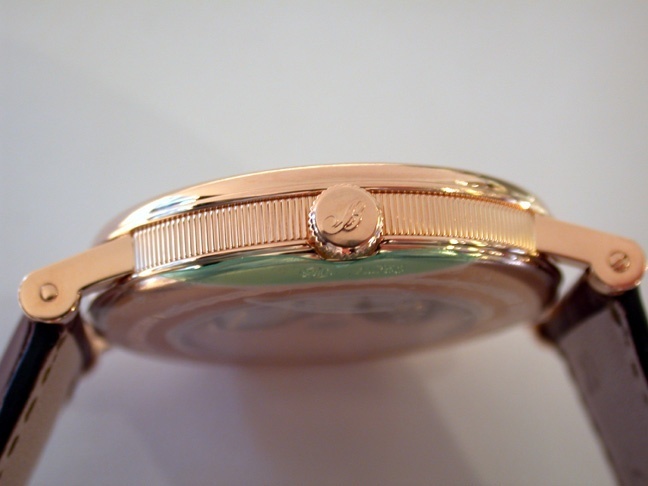 The finishing is excellent, with a beautiful guilloche pattern on the gold rotor (either white or rose, depending on the case color), nice beveling and anglage on the countersinks and bridges, and high polish on the steel parts. and a diamond bezel/lug reference 8788.